Megashare.com is giving free premium account of $1,000,000. This offer is on first come first serve basis. So all you need to do is to sign up as soon as possible. Its absolutely free. There is no hidden costs. Check out the benefits of Premium account. Pause and resume with download managers . How to get this free account? Mydala is giving away free discount vouchers for all they fans who follow them on google plus. So all you need to get mydala coupon code is to follow them on Google +. This is the only valid for first 100 people who follow them on google plus. So act fast and follow them. Source of Information: Mydala Facebook Fan page. Go to this link: https://plus.google.com/115694740337244542719/ and Hit Add to circle on right top. Update: This is now expired as it was only for first 100 followers. Lux has unique fragranced moisturizing oils that will wrap your body with creamier lather and an alluring fragrance, leaving your skin noticeably softer and perfumed , like never before. Lux gives the skin a softness, smoothness and lingering aroma that make every bather a surreal and satisfying experience. So get ready to pamper your skin. Buy now at Rs. 19/- only. Only 1 quantity per buyer, Multiple Qty will be refunded. Shipping will be done in 7 days. Update: This deal is working again with changed Link. So grab it fast before it stock out again. Update 2: This deal is expired again! As we have posted about Snapdeal's 50 SD Cash Offer , So you can take maximum benefit of this buy paying Rs 10 and getting a getting assured 50 Snapdeal Cash in your account tomorrow. How to Get 50 SD cash? Check back your account tomorrow for Snapdeal 50SD Cash. 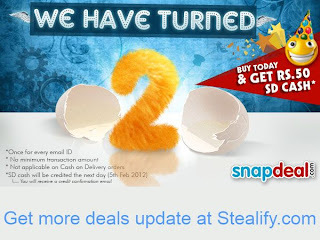 Snapdeal.com turned 2 today ( 4nd February 2012 ) and they are celebrating this special occasion not alone. 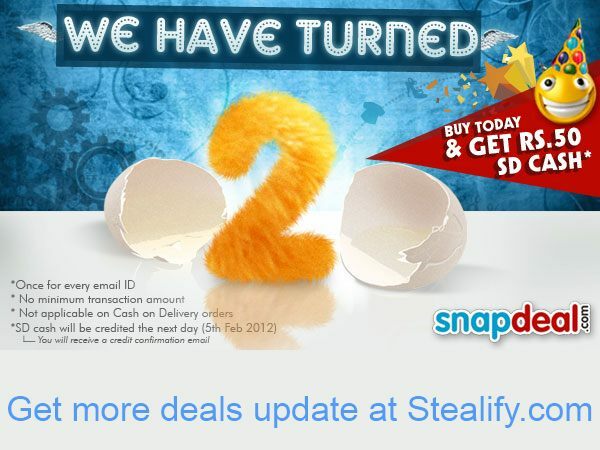 Snapdeal is giving a great offer for all of their users. 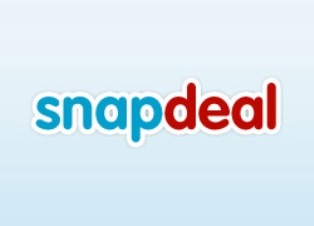 Buy anything from snapdeal.com and get 50 SD CASH in your account. This comes to be a great offer as they have a huge variety of products to buy and rates are already discounted. 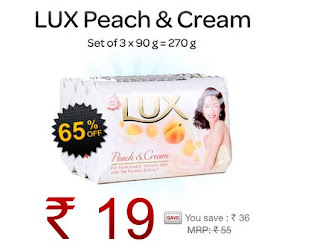 So enjoy this deal whole day today and take the maximum benefit out of it. SD cash will be credited next day (5th Feb '12).